In aiming to grow brand awareness and sales within Los Angeles and San Diego, Bai hired VaynerMedia to run an influencer campaign in the two Southern California markets. In order to extend reach of the campaign and generate added value content, VaynerExperience created and produced an event for the participating influencers that leveraged of-the-moment trends to drive additional social sharing. 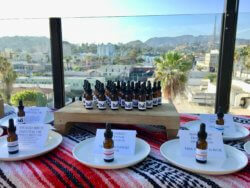 In Summer 2018, the wellness industry in Southern California was booming: Pinterest reported that edible essential oils were up +689% at the end of 2017, making it one of the top ten identified wellness trends for 2018. In addition to wellness, tattoo culture and street art were noticeably trending in LA; a search of the LA market on Instagram brought up countless shots of colorful self-expression. 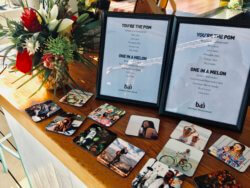 Leveraging these insights, we designed an event for Bai’s LA and San Diego influencers that created multiple opportunities to capture additional branded content in a natural setting. 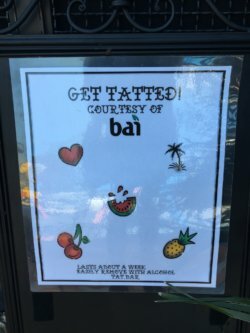 To put the product front and center, we served four custom Bai cocktails with Instagrammable fruit carvings as garnish. In addition to the cocktails, we produced several interactive activations, including an edible essential oils bar where guests could add essential oils to their Bai water bottles, a temporary tattoo artist, a live mural artist that attendees could join in painting, a mason jar decorating station, and a flat lay photo studio where guests could snap the perfect overhead shot of their cocktail alongside natural props. As a result, the event brought together 69 influencers (including the 30 influencers who participated in the campaign) to generate over 260 additional social media posts and 821,577 impressions.We reached an average of 5 frames per Instagram story, demonstrating the shareability of the multi-faceted event.